This easy slip-on sneaker is sure to be your new go-to. Air-cooled memory foam cushioning will keep you feeling refreshed and comfortable, no matter the amount of time you log on your feet. 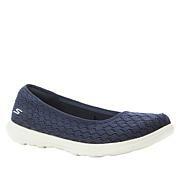 And with it's slip-on design, you can be out the door and onto your next adventure in practically no time at all. Definitely glad I ordered a half size larger. Very comfortable and nice looking. Love this brand and i'm so happy to see HSN carrying it. I work in a warehouse and i'm on my feet all day. Comfortable and i've never had any problems. Makes my feet happy. 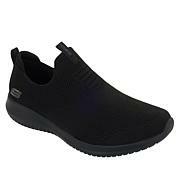 Most comfortable Skechers to date Bought all colors. 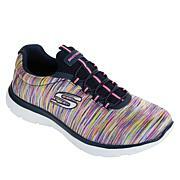 I love Sketchers and I have lots of them but I didn't have any with the bungie ties. These are so comfortable and will be wonderful on our trip to Pigeon Forge in the next few weeks. Also, I love the fit in the heel and instep! 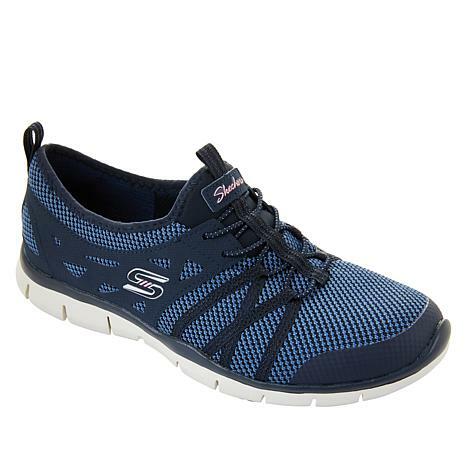 I'm a size 10 in other Skechers, but these were too snug. Could barely get my foot in it. I returned them hoping for an exchange for a size 11.